Rep. Bruce Poliquin, whose race against Jared Golden remains undecided, claims the new ranked-choice voting system is unconstitutional. 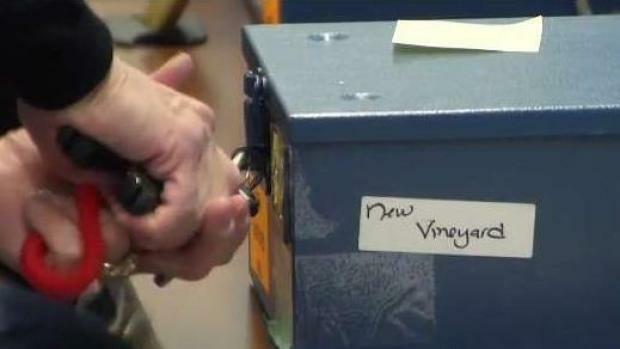 Election officials in Maine are close to tabulating all of the ballots in the nation's first federal race to use ranked choice voting, but one candidate is asking a judge to halt the process and declare him the winner. Lawyers for Republican Rep. Bruce Poliquin filed a restraining order in Bangor Federal Court Wednesday, calling aspects of the Ranked Choice Voting law unconstitutional. Under RCV, voters can rank candidates according to their preferences instead of choosing one person to vote for. If no candidates receive a 50 percent majority in the first round of the election, instant runoffs determine a winner. 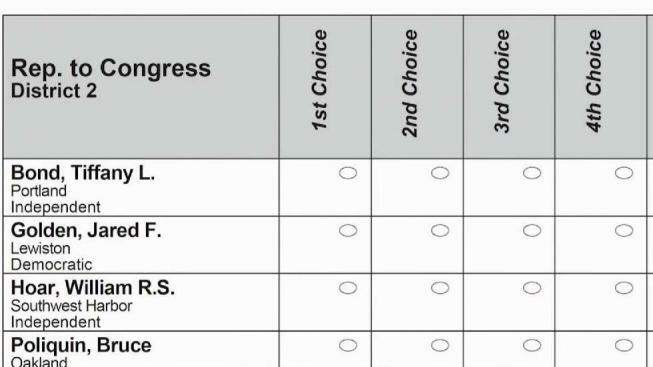 Ballots with the last place finisher ranked first will be redistributed according to their second place preferences, then third place and so on, until one candidate wins a majority. After the first round of voting, Poliquin and Democrat Jared Golden are tied at 46 percent of the vote. Unofficial results show Poliquin leading Golden by around 2,000 votes, but exit polling indicates Golden could end up the winner of the race if enough independent voters selected him as their second choice. Maine is using ranked choice tabulation in the 2018 midterm elections and many in the Republican Party are skeptical of its security. For the last several days, election workers have been scanning all 300,000 ballots from Maine's Second Congressional District so ballots with Independents Tiffany Bond and Will Hoar can be redistributed. According to Poliquin's lawyer, Lee Goodman, the process gives those independent voters more influence than others. "The extra voting power that those voters took advantage of is actually an unconstitutional dimension of the ranked choice voting law," Goodman said. A lawyer for the Committee for Ranked Choice Voting said stopping the process at this point would disenfranchise the independent voters who ranked their ballot assuming second choices would be counted. "If voters expected subsequent rounds, it's impossible to tell whether they would have handled their ballot differently," said James Montelone. "We can't decide this in hindsight." A judge expects to rule on the restraining order by Thursday -- but by then, it might be too late. Secretary of State Matt Dunlap said his staff is close to finishing the ballot processing, and could soon declare a winner.